Kelly Racing’s plan to maintain its four entries in the Supercars Championship next year is on course following a series of positive discussions with sponsors, according to Todd Kelly. 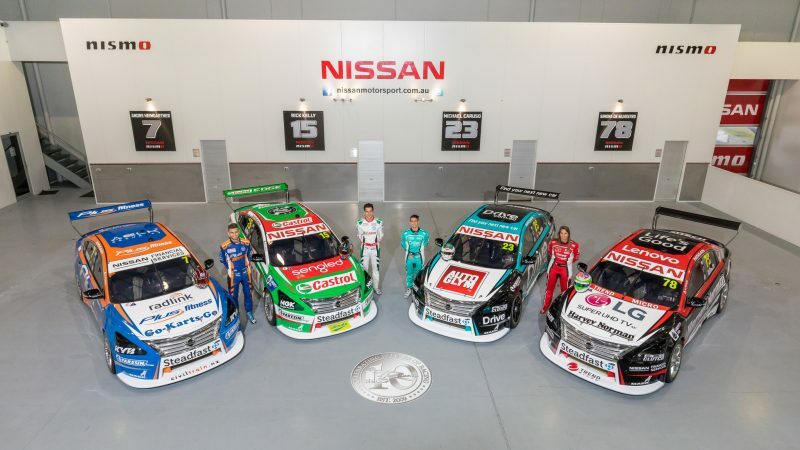 The Braeside outfit intends to field four Nissan Altimas next season despite losing its factory support from the Japanese marque at the end of the year. Nissan’s departure had raised the prospect of the team scaling back its efforts but Kelly has maintained the operation’s commitment to stay as a four car outfit ever since the car makers’ announcement in May. This season the team is enjoying its strongest showing yet with the Altima, headlined by a drought breaking victory, a pole position and two podium finishes all scored by lead driver Rick Kelly. The improved pace from the cars has also been displayed through strong results for Michael Caruso, Andre Heimgartner and Simona de Silvestro. Kelly is adamant there will be four cars on the grid next year and says the team has held encouraging talks with sponsors to assist the process. The team co-owner says the idea of handing back Racing Entitlement Contracts (REC) has not been contemplated. “Our place doesn’t work based off two cars. One way or another we will have four Nissans on the grid or four Kelly Racing entries on the grid,” Kelly told Speedcafe.com. “We have got all the engines in all of the cars sitting here and it is the best business model for us with our staff and our facility. “That is definitely the plan. However, the squad’s make up remains to be seen with Caruso currently out of contract at the end of the season. De Silvestro remains fully committed to the championship but is yet to officially confirm if she will stay with the team for a third campaign. The Swiss star does however bring support to the team through title sponsor Harvey Norman. Meanwhile, Heimgartner joined the team for the 2018 campaign although the length of his deal was not stipulated. Looking further afield Kelly says his team is planning to evaluate all its options before deciding what package it will run instead of the Nissan Altima in 2020. “It is little bit early (to be making decision on 2020),” Kelly added. “We are finding out as much as we can about what other teams are looking at doing, whether the Camaro becomes an option and how the Mustang pans out and what other manufacturers are showing a bit of interest. “The worst thing we could do now is try and lock in something early and it be the wrong call. Whatever the next move is has got to add up and be at least a five-year plan. “With the information we have currently got in hand there is no way you would put your eggs in that basket.